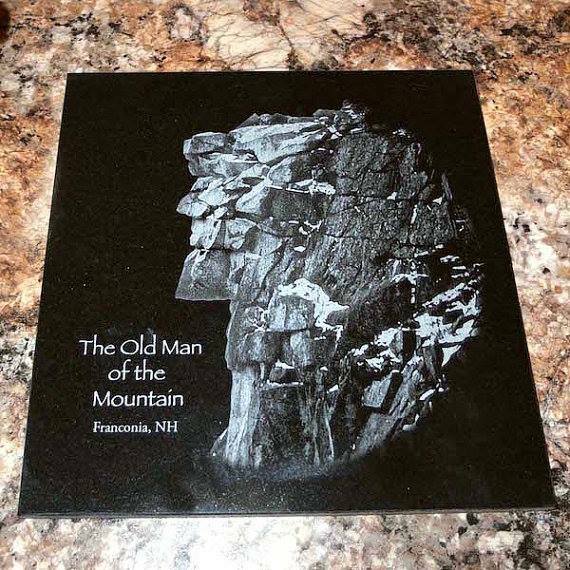 Black Granite engraving of Old Man of the Mountain, Franconia Notch, NH. 12 x 12 x 3/8 can be used as a cheese board of simply as a decoration. This plaque five felt feet on rear side to protect table or counter surface. A 9 inch display easel is recommended for this product.